Welcome to Lakeside Village-OKC. We have an optimized screen reader version of this site available. Comfort and functionality combine to create your new home at Lakeside Village in charming Oklahoma City, OK. Situated right off the Northwest Expressway, our community takes pride in placing residents right where they need and want to be. Shopping and dining options can be found at Springbrook Shopping Center which is just a short distance away. Lakeside Village is located within the Putnam City School District. Getting around Oklahoma City is also a breeze with the easy access that we provide to the I-44 as well as public transportation. Newly renovated, our one, two and three bedroom apartment homes have been crafted to make you feel at home from the moment you walk in. At Lakeside Village our contemporary floor plans feature fully equipped kitchens for the budding chef. Select units have a cozy fireplace. 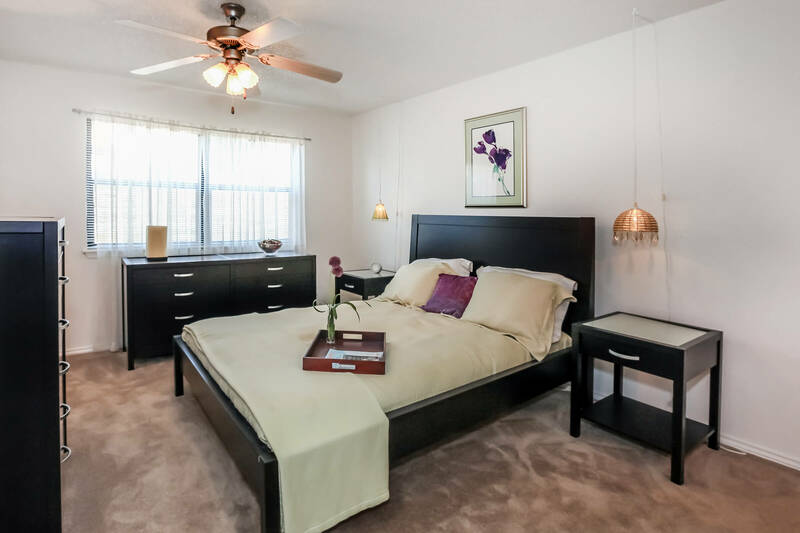 Other features include ceiling fans, washer and dryer connections, private balconies and patios and spacious living areas. 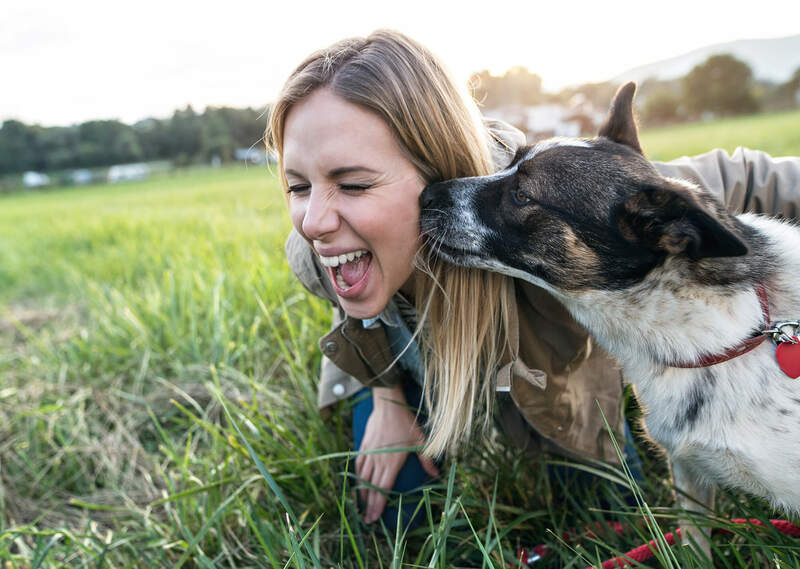 Continuing on our theme of making you feel at home, we know it's not truly home without your furry family members. We welcome your pets - ask about our pet policy! Shrouded in a wooded lakeside atmosphere, Lakeside Village is the perfect retreat after a long day. 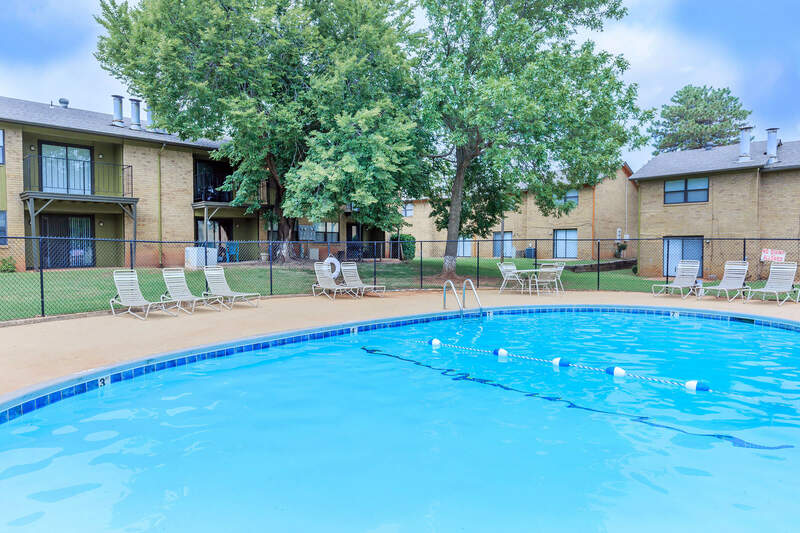 Residents can enjoy such community amenities as two sparkling swimming pools, convenient laundry facilities and a private lake with fishing dock. Affordable living can be yours at Lakeside Village! Contact our leasing professionals and allow them to tell you all about your new home.